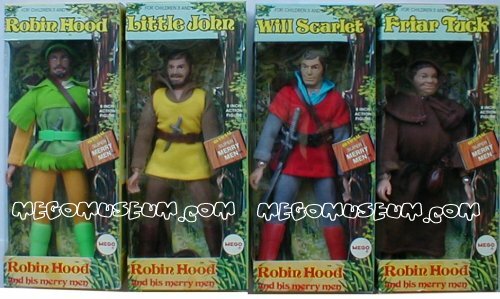 Will Scarlet, Little John, Robin Hood, Friar Tuck. 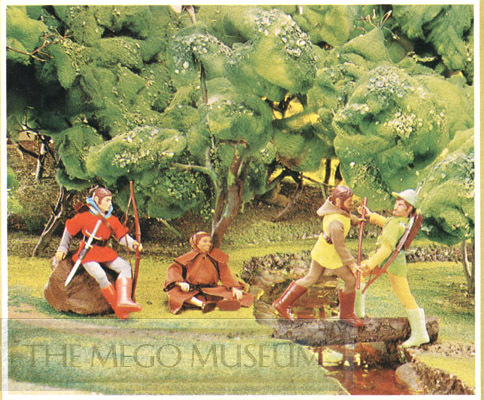 These four figures are delights of color and design. There is simply nothing wrong with these figures. Robin is a perect head sculpt capturing the essence of the Errol Flynne version of the character. Will Scarlett utilized a headsculpt also used for mego Galahad and Palitoy Zorro but recylcling is forgiven when it's such a nice job. Little John is no Alan Hale Sr but is a lively interpretation. Of the four, Friar Tuck is the most commonly found. Below are all the pretty boxes in row, courtesy of Tom. 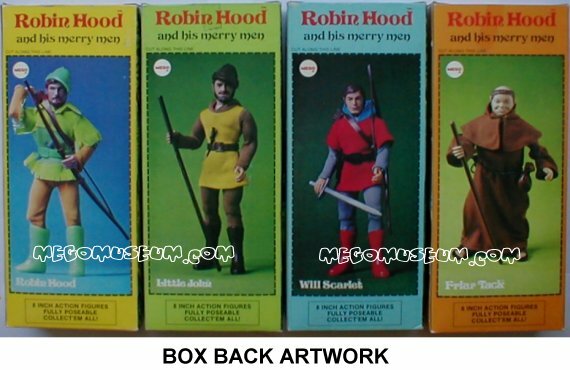 The Robin Hood Characters like the Mego Knights and Pirates were only released in window boxes for what appeared to be a brief time. These figures are often found in Europe with Type two bodies, Europeans have always had a better kinship with historical toys more than North Americans. 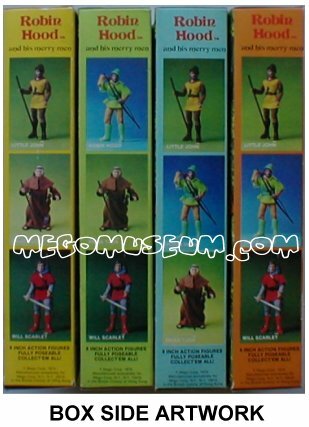 It is not uncommon to find the boxes with Marx or Toltoys stickers on them.